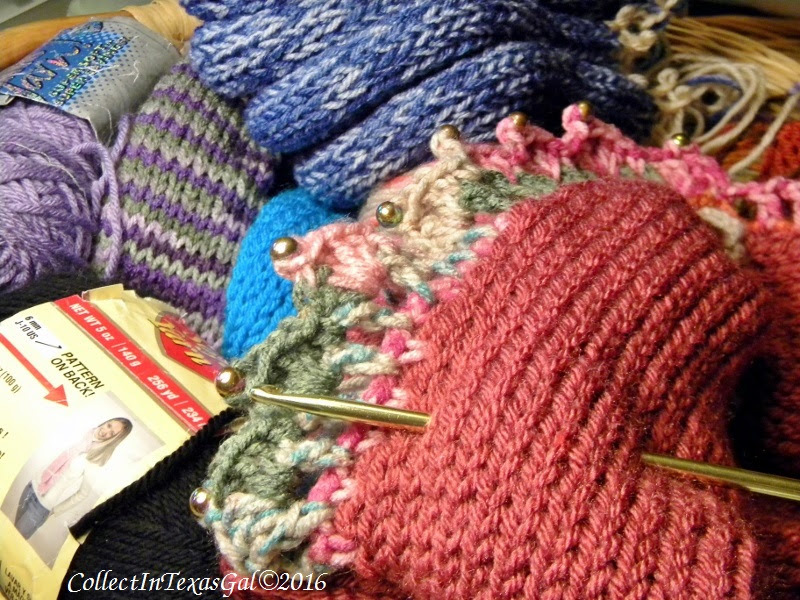 CollectIn Texas Gal: I LOVE THIS YARN! 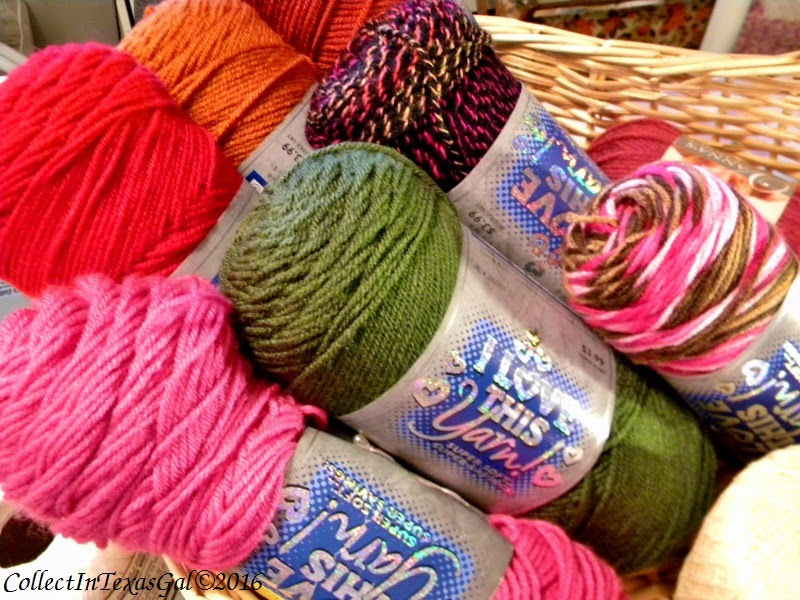 I do love THIS yarn...especially for a new accessory design I'm working on that a softer yarn seems to work better...best! Although it is a 4ply acrylic yarn, it feels, knits and crochets more like a merino-bamboo blend...with better body. As you can probably guess, I have a yarn stash that can only be described as an accumulation beyond life expectancy. Still...I did not have all the colors in THIS yarn needed for my new design line of knitted and crocheted wearables. Yes, I said both knitted and crocheted. 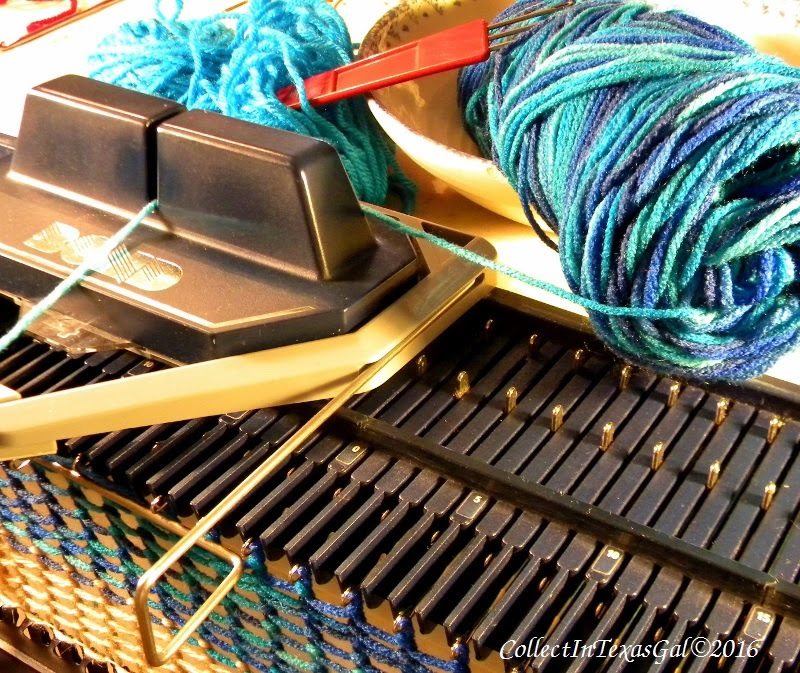 ...on my Bond Knitting Machine! I Love This Yarn....and This Knitting Machine! Okay, you have piqued by curiosity and now I really want to see what you are doing! Pretty colors in that stash! I like the variegated yarns. lovely colors and they look so soft. You are a whiz with Knit-a-lotta. Is that her name? I've been looking over my stash (very wee) and yearning to buy more expensive skeins at the LYS. Yes, I LOVE my Sue Knit Witty knit markers. Maybe you should make progress keepers, too?